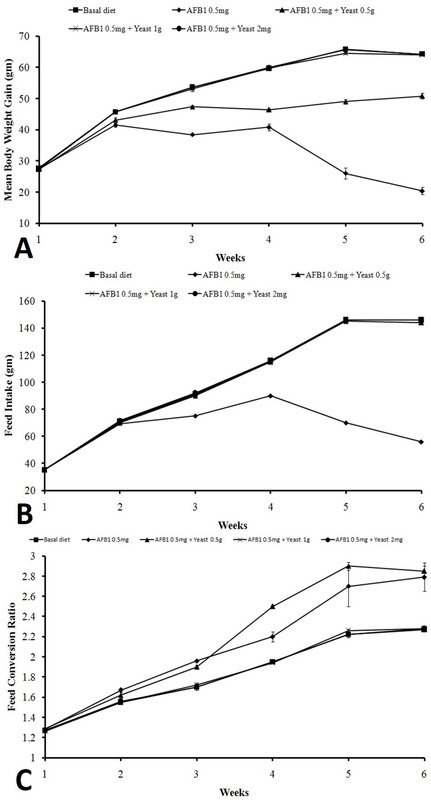 Effect of biological detoxification of AFB1 (0.5 mg/kg feed) along with different concentration of yeast (0.5 g, 1 g, 2g/kg feed) on mean body weight (A), feed intake (B) and feed conversion ratio (C) of Japanese quails. 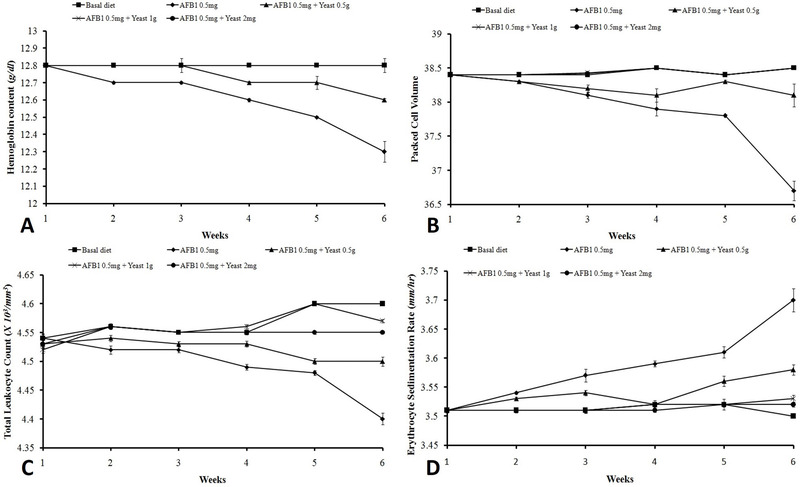 Effect of biological detoxification of AFB1 (0.5 mg/kg feed) along with different concentration of yeast (0.5 g, 1 g, 2g/kg feed) on mean hemoglobin contents (g/dl) (A), packed cell volume (B), TLC (X 103/mm3) (C) and ESR (mm/h) (D) of Japanese quails. 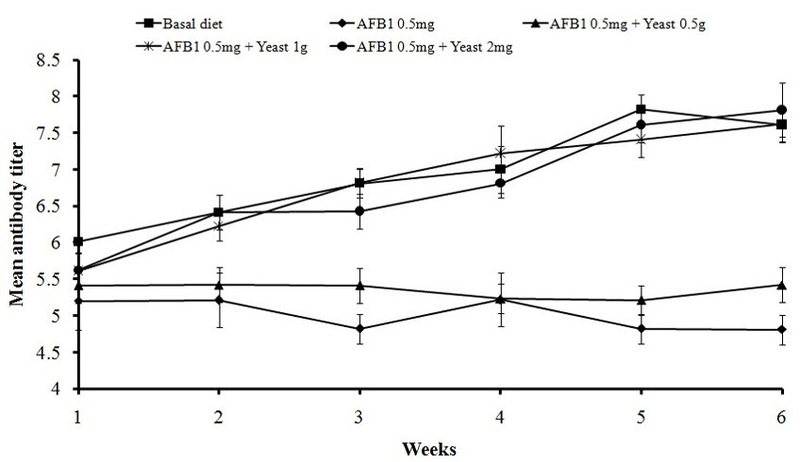 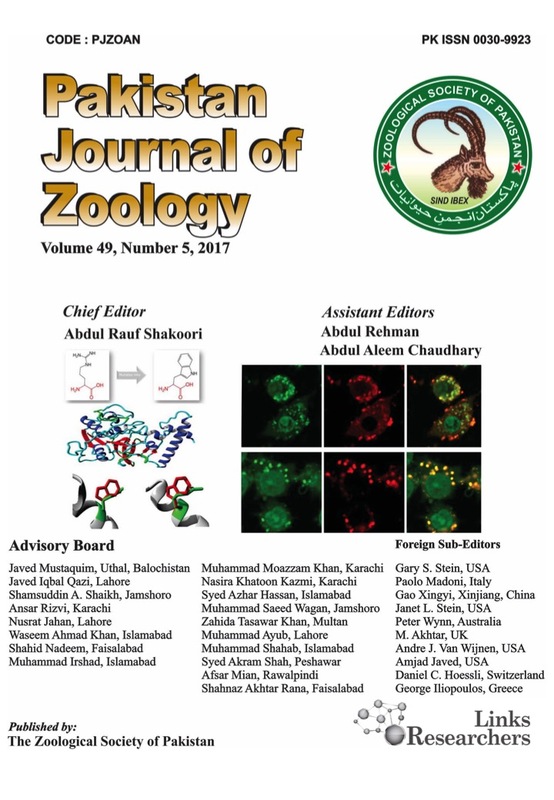 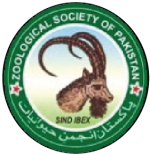 Effect of biological detoxification of AFB1 (0.5 mg/kg feed) along with different concentration of yeast (0.5 g, 1 g, 2g/kg feed) on mean antibody titer of Japanese quails.